Supports sleep. 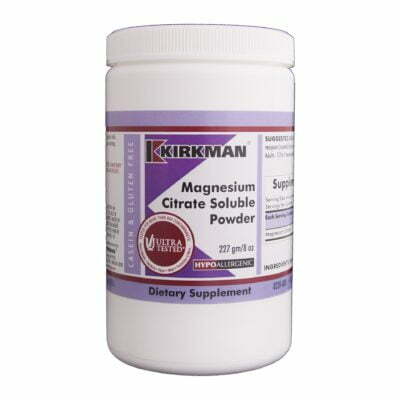 Kirkman’s low dose 1 mg, easy to take chewable tablets are flavored with refreshing menthol. Free of common allergens. Gluten and casein free. Ultra Tested®. 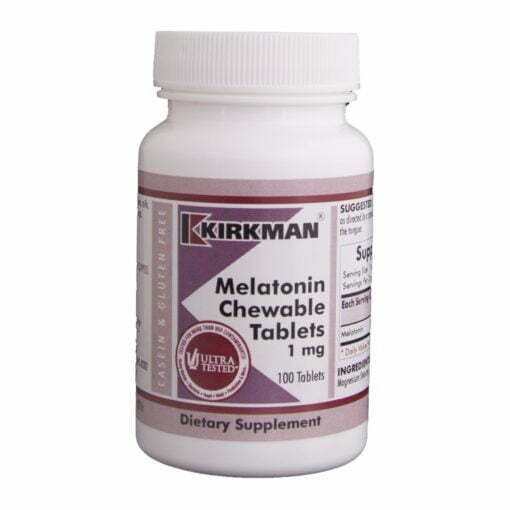 Melatonin is a hormone produced in the brain by the pineal gland from serotonin. It is used primarily to support sleep. It is also commonly used to reduce jet lag. 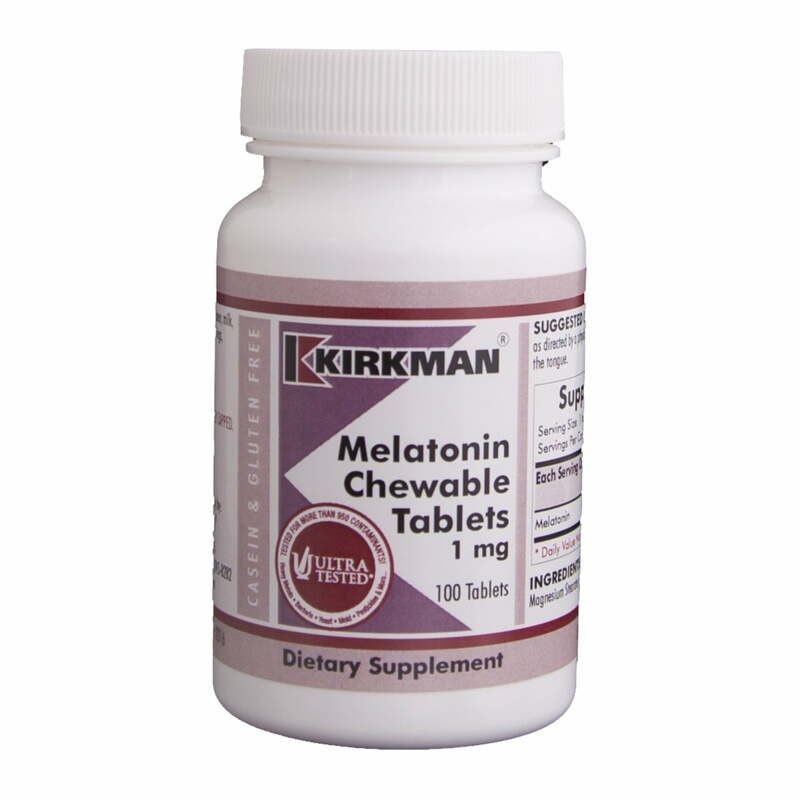 Low melatonin levels are considered a very common cause of sleeplessness. Several double-blind studies have shown that melatonin supplementation is effective in promoting sleep when melatonin levels are low; however, if an individual takes melatonin when levels are not reduced, then it reportedly has no effect. For individuals who are deficient in glutathione, melatonin is important because it stimulates the production of glutathione peroxidase. 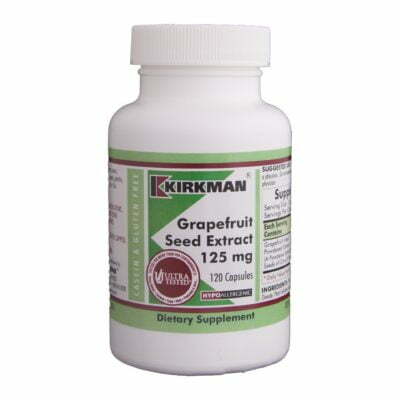 This versatile nutrient also has powerful antioxidant activity. 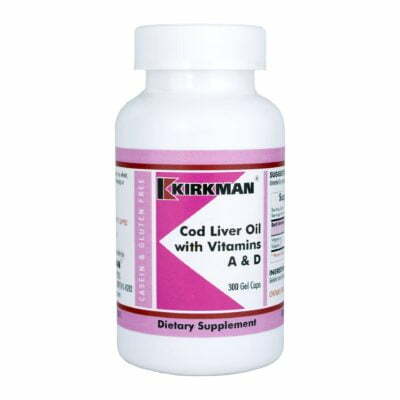 In addition, it works to stimulate phosphorylation of pyridoxine in the brain and facilitates the formation of pyridoxal 5-phosphate. 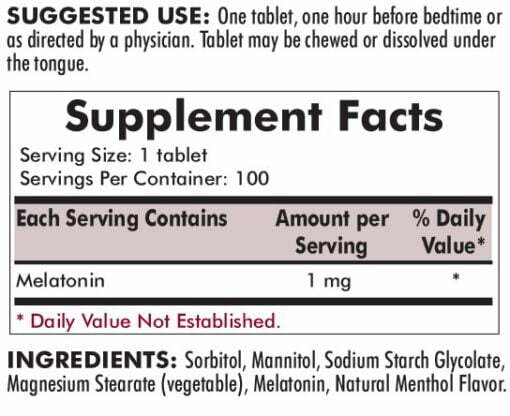 Melatonin may also help in the methylation process, which is important in the body’s absorption and utilization of vitamin B-6. Free from: Sugar, soy, wheat, casein, gluten, milk, egg, preservatives, yeast, gelatin, artificial flavourings, colourings, peanuts, tree nuts or fish.